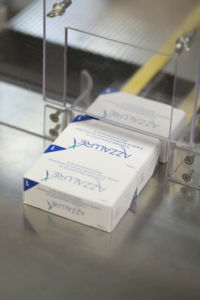 2017 Paris (France), 9 January 2017 – Ipsen announced that it has entered into a definitive agreement to acquire global oncology assets from Merrimack Pharmaceuticals, including its key marketed product ONIVYDE® (irinotecan liposome injection) for the treatment of patients with metastatic adenocarcinoma of the pancreas after disease progression following gemcitabine-based therapy, in combination with fluorouracil and leucovorin. Under the terms of the agreement, Ipsen will gain exclusive commercialization rights for the current and potential future ONIVYDE indications in the U.S., as well as the current licensing agreements with Shire for commercialization rights ex-U.S. and PharmaEngine for Taiwan. 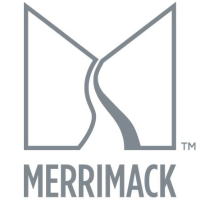 The transaction also includes Merrimack’s commercial and manufacturing infrastructure, and generic doxorubicin HCl liposome injection. The transaction represents a unique opportunity and a strong strategic fit for Ipsen. ONIVYDE is a clinically differentiated and FDA-approved product for patients with high unmet medical needs. April 1st: Ipsen opened its new peptide-driven R&D center in Cambridge (USA). May, 19: Ipsen strengthened its oncology expertise with the acquisition of OctreoPharm Sciences, a German company developing innovative radiopharmaceutical products for the diagnosis and treatment of neuroendocrine tumors. 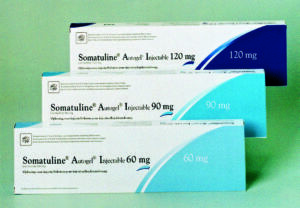 July 18: The Food and Drug Administration approved botulinum toxin Dysport® as a treatment for adult upper-limb spasticity in the US. August,3: Ipsen’s partner Lexicon Pharmaceuticals announced positive results from a late-stage trial that evaluated the efficacy and safety of telotristat etiprate for carcinoid syndrome patients with advanced neuroendocrine tumors whose symptoms are inadequately controlled by somatostatin analogs. Ipsen strengthened its primary care portfolio with the launch in France of strawberry-flavored Smecta® and Smectalia® stick for adults, an OTC ready-to-use formulation of Smecta®. 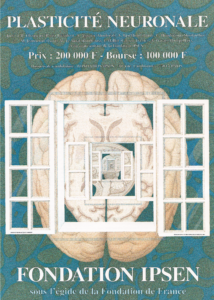 The Fondation Ipsen celebrates its 30th anniversary with a prestigious conference on the perspectives of cancer research, “Biology viewed through the prism of cancer”, attended by 8 Nobel Prize laureates and the greatest scientists in biomedical research. 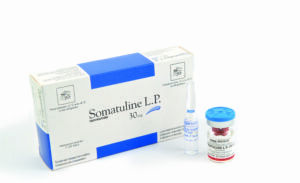 Teijin Pharma Limited and Ipsen launch of Somatuline® 60/90/120 mg for subcutaneous injection in Japan for the treatment of acromegaly and pituitary gigantism. 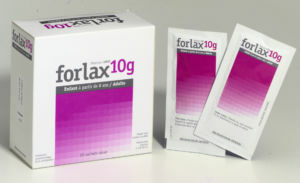 Health Canada has granted amarketing authorization for Dysport® for the temporary improvement in the appearance of moderate to severe glabellar lines in adult patients under 65 years of age. Medicis Aesthetics Canada, a division of Valeant Pharmaceuticals, will market Dysport® for use in aesthetic medicine in Canada. Christel Bories joins Ipsen as Deputy CEO. Working alongside Marc de Garidel, Chairman and CEO, Christel Bories is responsible for accelerating the execution of the Group’s strategy. Ipsen strengthens its neurology R&D capabilities with the acquisition of Syntaxin, a leader in recombinant botulinum toxin technology. Ipsen and Active Biotech present encouraging results from the tasquinimod Phase II study in chemotherapy-naïve metastatic castrate resistant prostate cancer and initiate a new phase II, proof-of-concept clinical trial to evaluate the safety and efficacy of tasquinimod in other cancer indications. Somatuline® receives marketing authorization in Japan for the treatment of acromegaly and pituitary gigantism and becomes Ipsen’s first drug available worldwide. 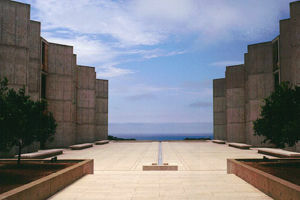 Ipsen and the Salk Institute renew the “Ipsen Life Sciences Program” for a further three years. 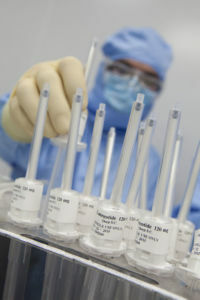 Syntaxin and Ipsen enter into a strategic agreement to develop novel botulinum-toxin therapeutics. Ipsen strengthens its business in urology-oncology with the acquisition of the rights to Heavy® (a drug aimed at improving bladder cancer detection) and the establishment of two significant partnerships with: Active Biotech for the co-development and commercialization of tasquinimod (a molecule for the treatment of metastatic and castration-resistant prostate cancers), and Institut Gustave Roussy in the area of medical oncology to leverage the combined expertise of their respective R&D teams. Ipsen and Inspiration Biopharmaceuticals Inc. enter into a partnership to create a hemophilia franchise. Ipsen increases its presence in oncology and endocrinology in South-East Asia through a commercialization agreement with Invida. 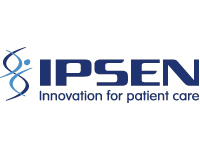 Ipsen grants Menarini exclusive license rights to Adenuric® (for the treatment of chronic hyperuricemia in gout) in 41 countries. Ipsen retains co-promotion rights in France. Ipsen and Rhythm Pharmaceuticals, a biotechnology company developing peptide therapeutics for metabolic diseases, enter into a license agreement for Ipsen’s proprietary peptide therapeutics targeting obesity, metabolic diseases, and gastrointestinal disorders. Ipsen grants Rhythm an exclusive worldwide license for research, development, and commercialization of its melanocortin and ghrelin programs originating from Ipsen’s research. 2009 Ipsen and Galderma receive collective green light for Azzalure® from 15 European countries’ Health Authorities for the granting of national marketing authorizations for the treatment of glabellar lines. Azzalure® receives marketing authorization in the UK, France and Germany. 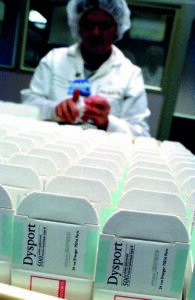 The FDA approves Dysport™ for therapeutic and aesthetic use. 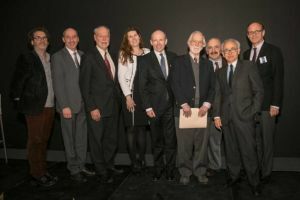 Ipsen initiates a partnership with the Salk Institute for Biological Studies (San Diego, US) aimed at improving understanding of proliferative and degenerative diseases. The Group enters into a partnership with Galderma, for the development, promotion and distribution of the Group’s botulinum toxin type A in aesthetic medicine indications. 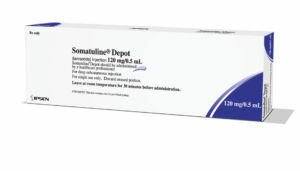 Somatuline® Depot obtains marketing authorization in the United States for the treatment of acromegaly. Somatuline® Depot is the first product stemming from Ipsen’s R&D to be approved by the FDA. Ipsen’s shares are admitted to the SBF 120 index in France. 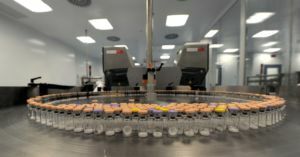 Ipsen enters into an agreement with Medicis (now Valeant) to market its botulinum toxin in aesthetic medicine indications in the US, Canada and Japan. Ipsen and Tercica complete worldwide strategic collaboration agreement in Endocrinology. Ipsen grants Tercica exclusive rights to market Somatuline® Autogel® in the United States and in Canada. 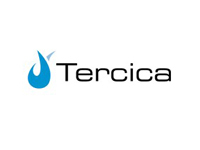 Tercica grants Ipsen exclusive rights to market Increlex™, a leading product in the United States for the treatment of short stature associated with severe primary IGF-1 deficiency in all territories excluding the United States, Japan, Canada, Taiwan and certain countries of the Middle East and North Africa. 2005 Ipsen’s shares are listed on Euronext Paris. Ipsen enters into a licensing agreement with Radius through which Radius acquires the exclusive worldwide rights (excluding Japan) to develop, manufacture and distribute Ipsen’s osteoporosis proprietary molecule. 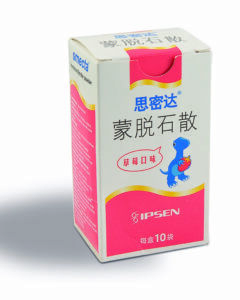 2003 Ipsen and Teijin enter into an agreement to develop and market four Ipsen products, notably Somatuline® Autogel®, in Japan and a Teijin product for the treatment of gout in Europe. 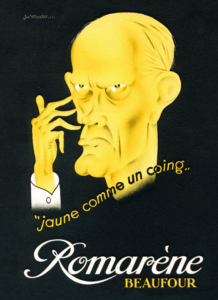 1995 The Group launches Somatuline®, its sustained-release peptide for the treatment of acromegaly and neuroendocrine tumors in France. Ipsen acquires Speywood, the company that developed Dysport® for the treatment of movement disorders and various forms of muscular spasticity. This acquisition strengthens the Group’s presence in the UK and Northern Europe. Ipsen establishes a sales platform for its biological product and opens an office in Russia. 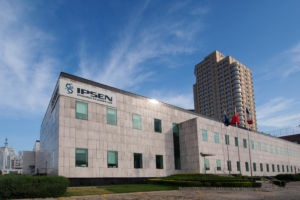 1992 Ipsen begins its development in China, with the opening of a representative office in Tianjin. 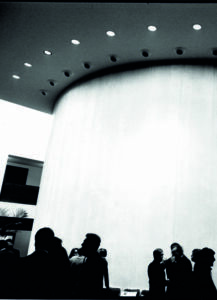 The Group creates La Fondation Ipsen under the aegis of the Fondation de France. 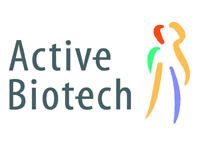 Its mission is to foster interactions between leading scientists in the field of life sciences. 1980 Ipsen initiates a partnership with Debiopharm. 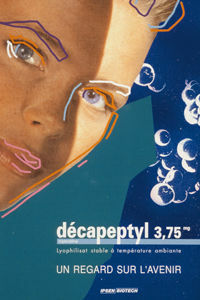 This collaboration leads to the marketing of Decapeptyl® in 1986. This analogue of natural GnRH hormone (or gonadotropin) is indicated for the treatment of prostate cancer, endometriosis and infertility. 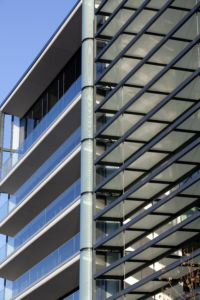 Decapeptyl® has been a key driver of the Group’s international expansion. 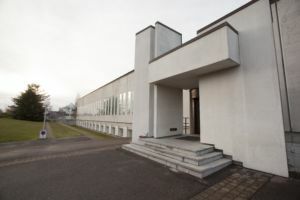 1969 The Group opens its first research facility in Les Ulis (France). 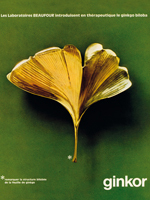 The Group launches Citrate de Betaïne®, a product used in the symptomatic treatment of dyspepsia. 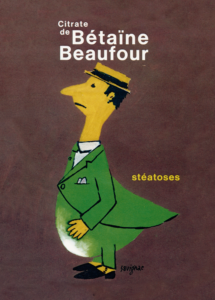 1929 Dr. Henri Beaufour creates Laboratoires Beaufour in Dreux (France) to launch Romarène®, a product derived from rosemary for the treatment of digestive disorders.